When the American poet Elizabeth Bishop arrived in Brazil in 1951 at the age of forty, she had not planned to stay, but her love affair with the Brazilian aristocrat Lota de Macedo Soares and with the country itself set her on another course, and Brazil became her home for nearly two decades. In this groundbreaking new study, Bethany Hicok offers Bishop’s readers the most comprehensive study to date on the transformative impact of Brazil on the poet’s life and art. 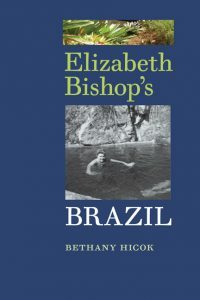 Based on extensive archival research and travel, Elizabeth Bishop’s Brazil argues that the whole shape of Bishop’s writing career shifted in response to Brazil, taking on historical, political, linguistic, and cultural dimensions that would have been inconceivable without her immersion in this vibrant South American culture. 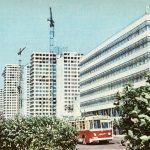 Hicok reveals the mid-century Brazil that Bishop encountered–its extremes of wealth and poverty, its spectacular topography, its language, literature, and people–and examines the Brazilian class structures that placed Bishop and Macedo Soares at the center of the country’s political and cultural power brokers. We watch Bishop develop a political poetry of engagement against the backdrop of America’s Cold War policies and Brazil’s political revolutions. Hicok also offers the first comprehensive evaluation of Bishop’s translations of Brazilian writers and their influence on her own work. 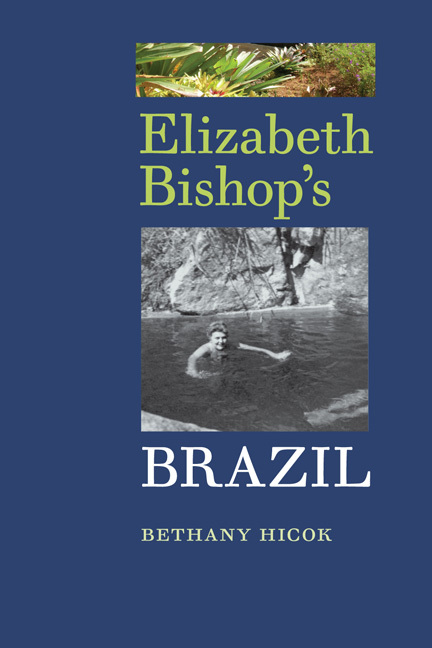 Drawing on archival sources that include Bishop’s unpublished travel writings and providing provocative new readings of the poetry, Elizabeth Bishop’s Brazil is a long-overdue exploration of a pivotal phase in this great poet’s life and work. In most accounts, literature of the nineteenth century compulsively tells the story of the individual and interiority. But amidst the newly dense social landscapes of modernity, with London as the first city of one million inhabitants, this literature also sought to represent those unknown and unmet: strangers. Focusing on the ways that both Victorian literature and modern social thought responded to an emergent “society of strangers,” The Comfort of Strangers argues for a new relation between literary form and the socially dense environments of modernity, insisting upon strangers in these works not as alienating, fearsome others, but a relatively banal yet transformative fact of everyday life, the dark matter of the nineteenth-century social universe. 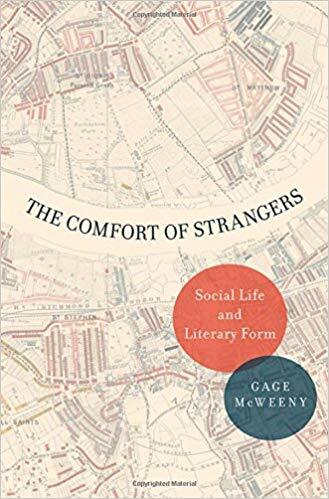 Taking up “the literature of social density,” Gage McWeeny engages with a range of generically diverse works from the age of Victorian sympathy to illuminate surprising investments in ephemeral relations, anonymity, and social distance. Life amidst strangers on urban streets and markets produced new social experiences, both alluring and fearsome, and McWeeny shows how realist literary form is remade by the relational possibilities offered by the impersonal intimacy of life among those unknown and the power of weak social ties. 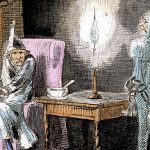 Reading works by Charles Dickens, Matthew Arnold, George Eliot, Oscar Wilde, and Henry James, he discovers a species of Victorian sociality not imagined under J.S. Mill’s description in On Liberty of society as a crowd impinging upon the individual. 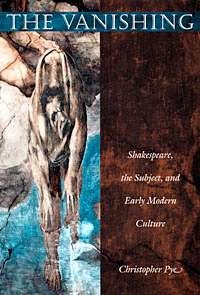 Instead, McWeeny mines nineteenth-century literature’s sociological imagination to reveal a set of works diverted by and into intensities located in strangers and the modern forms of sociality they emblematize. Treating seriously the preference for the many over the few, the impersonal intimacy of strangers over those who are friends and acquaintances, The Comfort of Strangers shows how literature and sociology together produced modern understandings of the social, opening up canonical works of the nineteenth century to a host of strange, new meanings. In this wide-ranging, ambitious, and engaging study, Christian Thorne confronts the history and enduring legacy of anti-foundationalist thought. 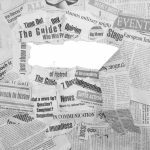 Anti-foundationalism—the skeptical line of thought that contends our beliefs cannot be authoritatively grounded and that most of what passes for knowledge is a sham—has become one of the dominant positions in contemporary criticism. 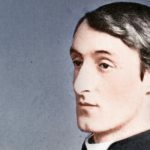 Thorne argues that despite its ascendance, anti-foundationalism is wrong. In The Dialectic of Counter-Enlightenment, he uses deft readings of a range of texts to offer new perspectives on the ongoing clash between philosophy and comprehensive doubt. The problem with anti-foundationalism is not, as is often thought, that it radiates uncertainty or will unglue the university, but instead that it is a system of thought—with set habits that generate unearned certainties. The shelves are full of histories of modern philosophy, but the history of the resistance to philosophical thought remains to be told. 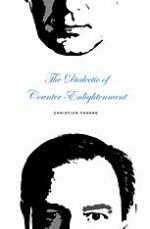 At its heart, The Dialectic of Counter-Enlightenment is a plea not to take doubt at its word—a plea for the return of a vanished philosophical intelligence and for the retirement of an anti-Enlightenment thinking that commits, over and over again, the very crimes that it lays at Enlightenment’s door. Making Girls into Women offers an account of the historical emergence of “the lesbian” by looking at late-nineteenth- and early-twentieth-century women’s writing. 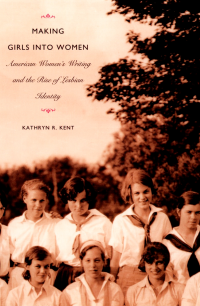 Kathryn R. Kent proposes that modern lesbian identity in the United States has its roots not just, or even primarily, in sexology and medical literature, but in white, middle-class women’s culture. Kent demonstrates how, as white women’s culture shifted more and more from the home to the school, workplace, and boarding house, the boundaries between the public and private spheres began to dissolve. 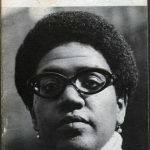 She shows how, within such spaces, women’s culture, in attempting to mold girls into proper female citizens, ended up inciting in them other, less normative, desires and identifications, including ones Kent calls “protolesbian” or queer. 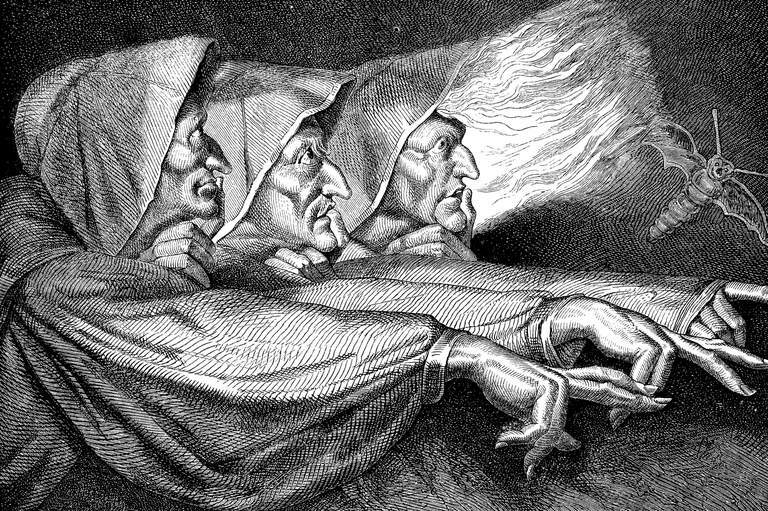 Almost all twentieth-century philosophy stresses the immanence of death in human life-as drive (Freud), as the context of Being (Heidegger), as the essence of our defining ethics (Levinas), or as language (de Man, Blanchot). 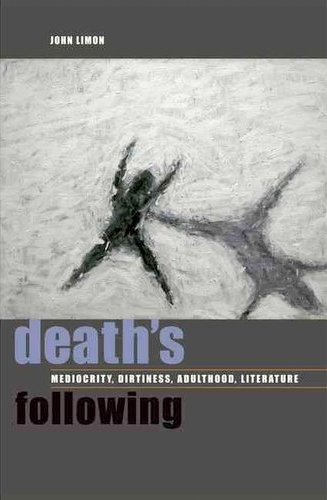 In Death’s Following, John Limon makes use of literary analysis (of Sebald, Bernhard, and Stoppard), cultural analysis, and autobiography to argue that death is best conceived as always transcendentally beyond ourselves, neither immanent nor imminent. Adapting Kierkegaard’s variations on the theme of Abraham’s near-sacrifice of Isaac while refocusing the emphasis onto Isaac, Limon argues that death should be imagined as if hiding at the end of an inexplicable journey to Moriah. The point is not to evade or ignore death but to conceive it more truly, repulsively, and pervasively in its camouflage: for example, in jokes, in logical puzzles, in bowdlerized folk songs.